The Art of Stocking Stuffing! December 16, 2015 December 16, 2015 by Bubbly Michelle1 Comment on The Art of Stocking Stuffing! With less than 10 days to go, i’m guessing there’s a mile long list of things to get done. Gift shopping, mad baking, spring cleaning and holiday decorating galore. In my opinion gifts are priority though, after all we don’t want to be the sad lot running all over town in ridiculous traffic, battling thousands of others on Christmas eve! It’s good to get it done and over with as early as possible. Everything else can follow after! Most everything seen above is $25 or under with the exception of just two. You are bound to find options for a variety of budgets! Etude House was my first stop for gift shopping. This year they truly outdid themselves with the cutest holiday treats. 1. Ginger Cookie Contour Maker – The cutest thing I bought this season and I ended up with multiples. This one retails at $ 24.90. Just under the 25 mark! The overall quality is lovely and doesn’t feel cheap. I love it! 2. 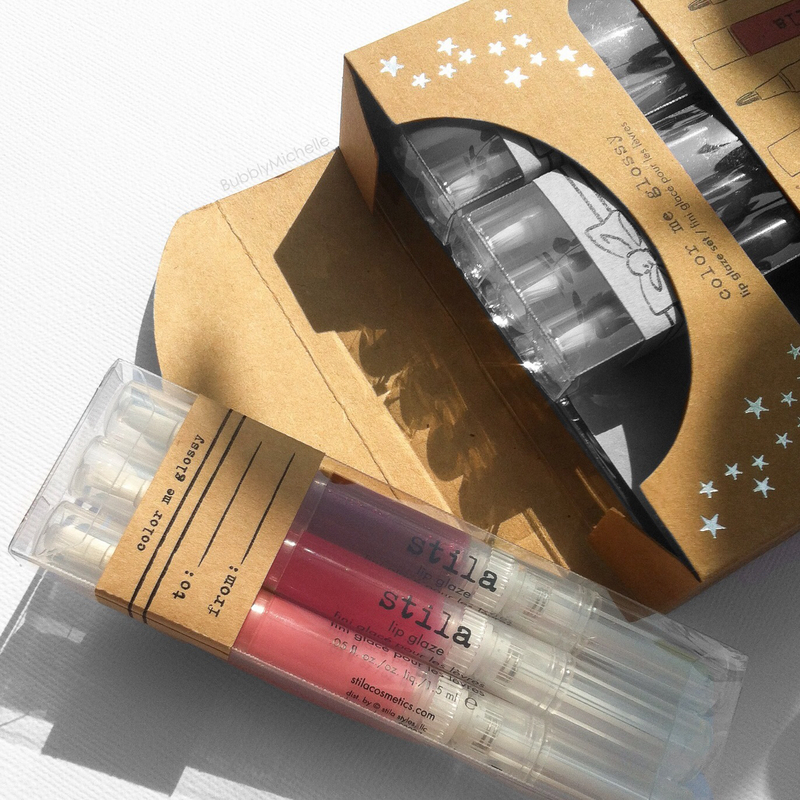 Pudding Tints – Lip gel tints that came in 5 flavours. They are stains that last all day. The best part was the packaging though, wrapped in a box complete with a bow just like Christmas pudding! Price – $13.90. 3. Bling Me Prism – Even though these weren’t from the holiday collection, I really loved how cute and fun these cream eyeshadows were. 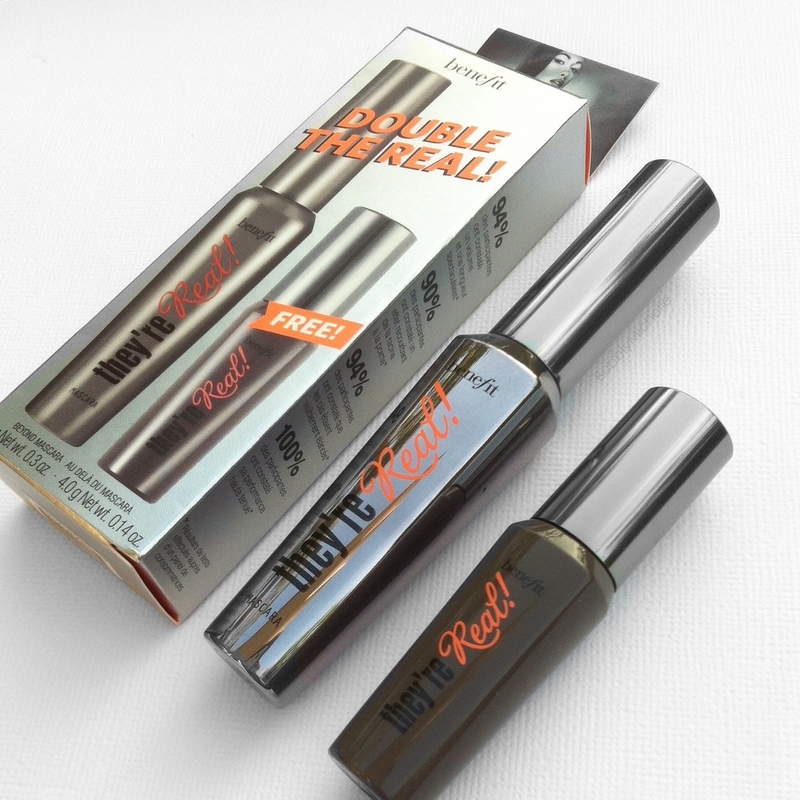 They come packaged like a lip gloss, with a wand for application. Overall the quality was phenomenal, they last ALL DAY and retail at just $11.90. BUY ALL. Next up, Stenders. The one stop shop for affordable yet awesome gifting! Nearly everything they sold were cute thoughtful gifts with the holiday soaps being my favourites! 4. Blueberry Snowflake soap – Intricate and festive, this would make a pretty treat for your gal pals or even the men in your life. There’s also a Goat Milk Angel soap too ($9) for that perfect festive touch. 5. Damascus Rose soap – For the girls who love rose scented body care. Retail price – $9. 6. Coffee Lip Balm (contains 60% natural Shea Butter + coffee oil) – This one’s perfect for the guys. I love that it’s a unisex fragrance and make a thoughtful gift for men who keep stealing their partners lip balms. I bought one for hubby 😉 Retail price – $10. 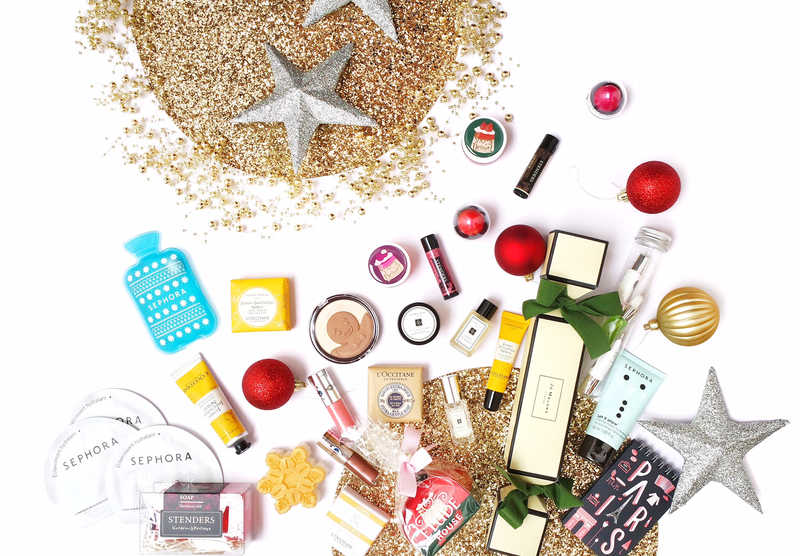 Sephora shoppers on the look out for gifts below 25, i’ve got you covered too! Here’re some nifty things I received in a press package 🙂 + a few I picked up as well. 7. Let it Snow Handcream – A lightly fragranced hand cream packaged in a snowy blue tube. This one retails at $10. 8. Mini Hot Water Bottle – I ended up buying multiples! A cute blue patch that can be used as a hot or cold compress. The festive print makes it even more stocking friendly imo! Retails under $8 I belive. 10. 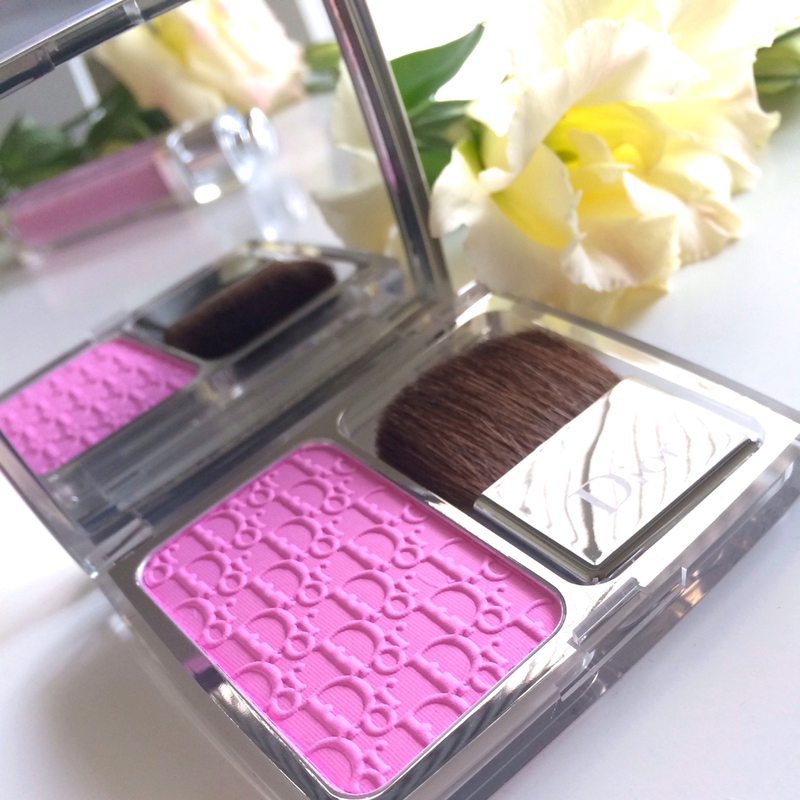 Sephora Colour Around the World eye and face palettes – This one’s a sneaky addition which can be broken up and stuffed in 4 stockings! Each named after a city (Paris, Rome, Rio, NY) they contain 4 eyeshadows and a blush to create a look. Retails at $52. 11. Sephora Kiss Me Balm – Tinted lip balms in cute egg shaped packaging! 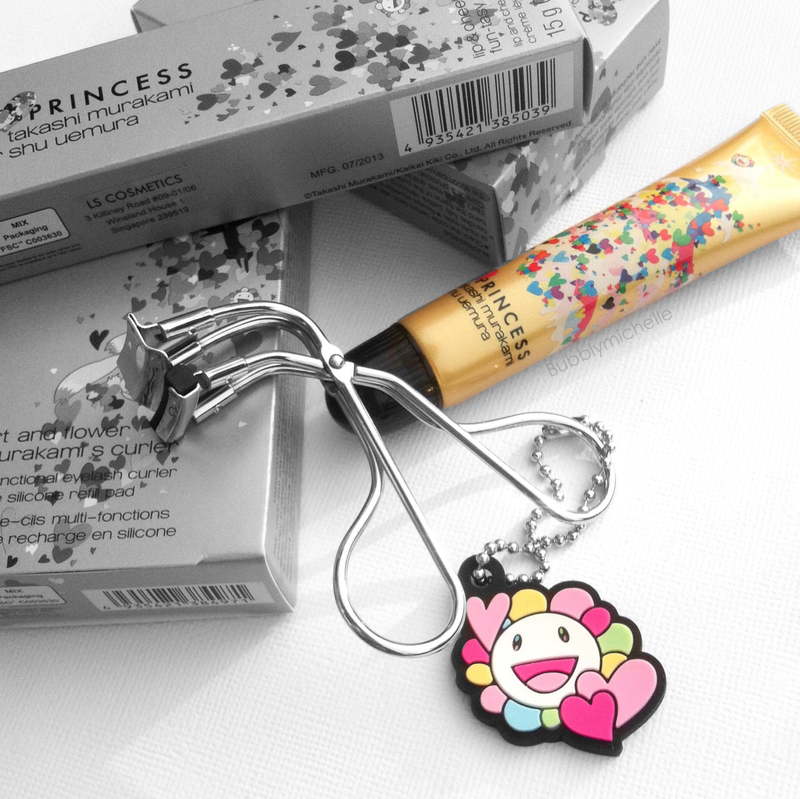 Perfect gift for those younger gals just getting into makeup. Price, $14. On to a few goodies I picked up from L’Occitane. 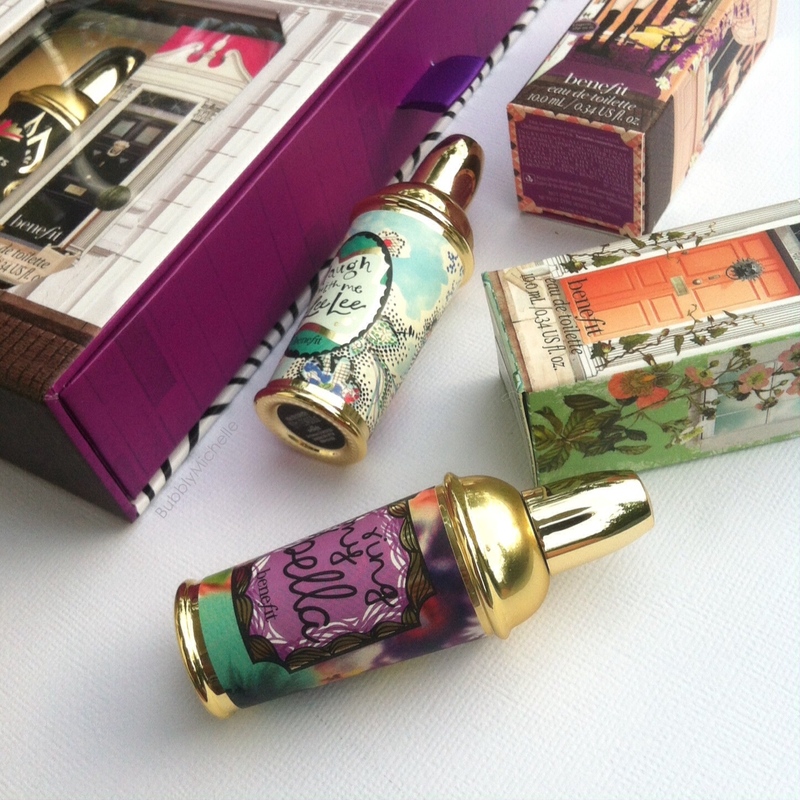 This years holiday collab with Pierre Hermé was a match made in heaven for any L’Occitane loving lady. I grabbed the Jasmin Immortelle Neroli range, my favourite from the three limited edition lines! 14. Hand Cream – One of L’Occitanes star products. These hydrate well and absorb immediately. No greasy hands! Retails at -$15. 15. Lip gloss – Available in three LE fragrances. Retails at $48 for a trio. 16. Shea Butter Soaps 100g – Make stylish gifts for just about anyone! Mom would love some french soap right? Retails at $9.50. Last but not least, cute gifts from Jo Malone! 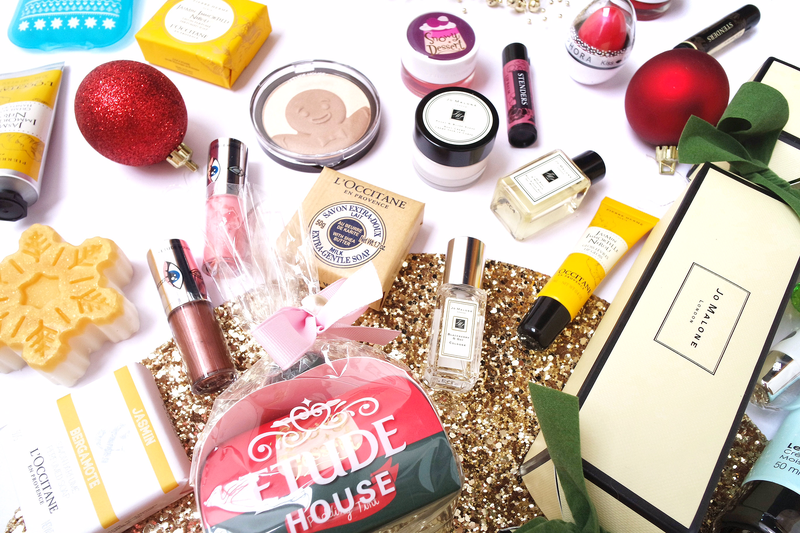 No stocking stuffer guide would be complete without their gorgeous cracker! 17. 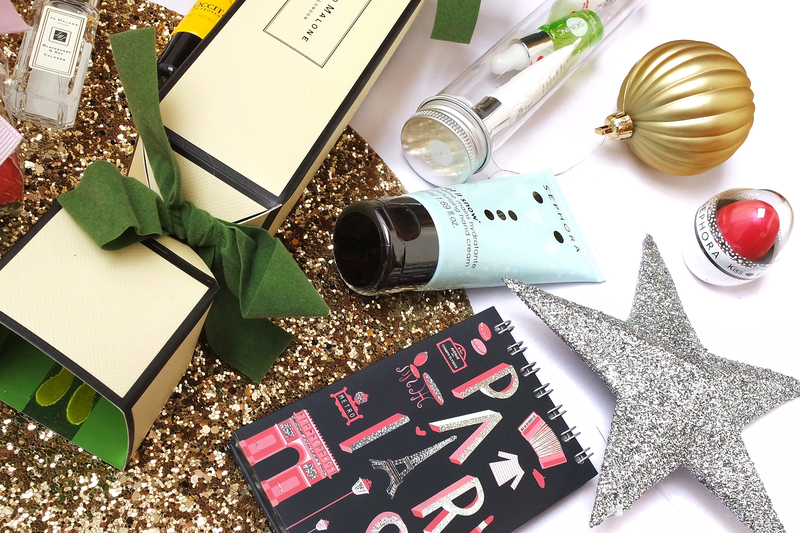 Christmas Cracker – This contains three Jo Malone favourites. Blackberry & Bay Cologne, Lime Basil & Mandarine Hand & Body Wash and a Peony & Blush Suede Body Lotion. All in travel friendly mini sizes! LOVE! After much hesitation, early last month I decided to purchase Diors famous Rosy Glow. Time and time again deterred by it’s cool, eye popping ‘pinkness’, I never seemed to have the courage to purchase it, let alone try it at the counter. Luckily for me, this time I went with backup! My friend Sarah, who I can always count on for an honest opinion..
At the Dior counter this blush is grouped together with several other popular Dior products such as the Dior Glow lip balm, they are termed backstage favourites; basically what is used on models of all ethnicities at the Dior fashion shows, and is specially developed to be universally flattering. 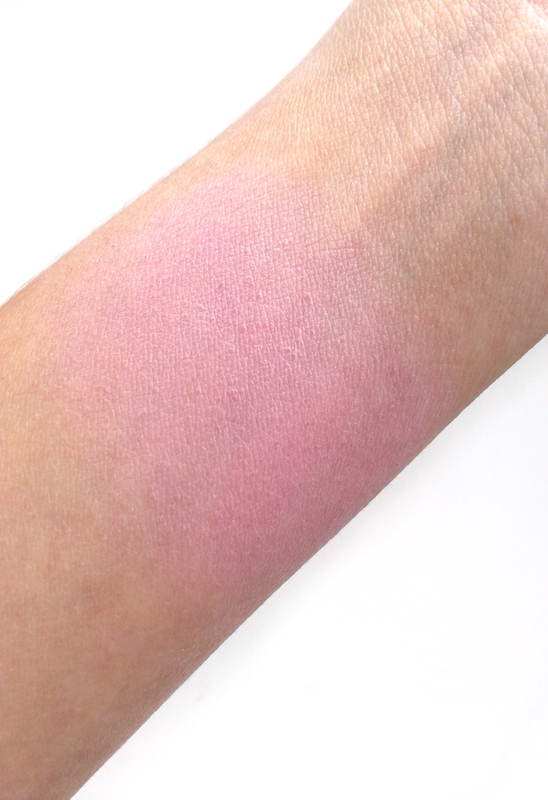 I had this tested in department store lighting and lo and behold it was anything but cool toned pink on my cheek! Sarah and I were shocked that it pulled more coral on me. (my favourite blush shade might I add 😉 ) So there you go! Claim proven and there was no way I could disregard what my/our eyes had witnessed. Just for you, I did prepare a heavy swatch on my forearm to get an idea of how this looks in the pan, but it is by no means a true reflection of how it’s like worn sparingly on ones cheek. That’s where the true magic begins! Lasted over 7 hours, after which it shows slight fading, which I believe is very good wear time. 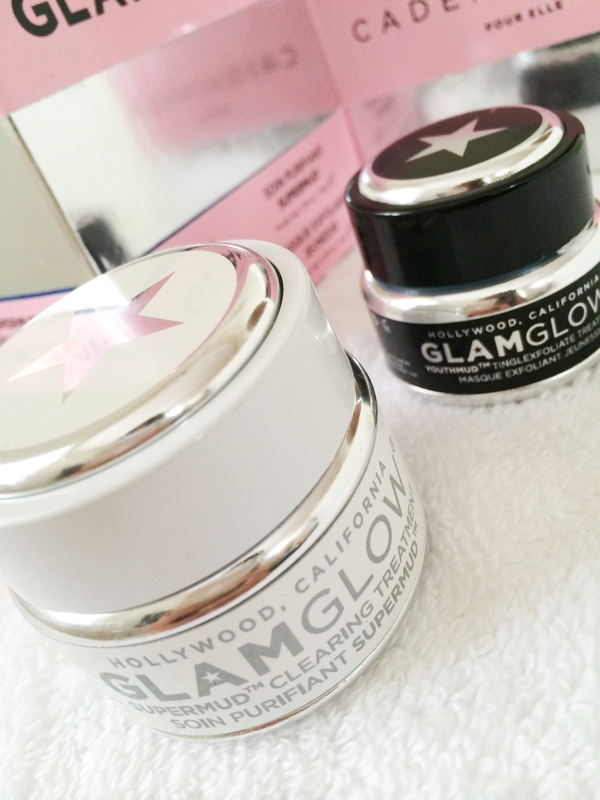 After reading it’s rave reviews over and over for around a year, I finally have the opportunity to try GLAMGLOW as it had slowly made its way to Sephora in Singapore. However, being the patient girl I am, I decided to wait a lil bit longer and take advantage of a super deal that Sephora US was offering (Since I was to travel to SF within a week or so), basically for the price of one, I get to try a full sized Supermud and a half sized generous sample of Youthmud! 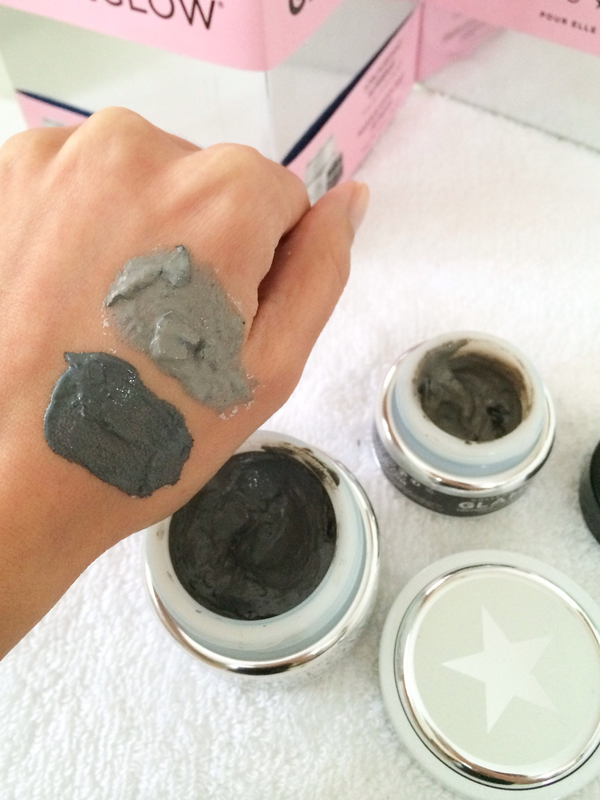 * Top to bottom, swatches of Youthmud (lighter one) and Supermud. First up, Supermud clearing treatment. Since my main concern was blackheads and light breakouts I decided to try this first. The SA at Sephora that assisted me with this purchase mentioned that only a very thin layer was required, so I did exactly that. Upon application, I felt a slight tingle/burn around my nose and cheeks, (but before I proceed any further, just so you know, I have pretty sensitive skin) which subsided as the mask began to dry. According to the instructions leaflet it was suggested leaving this on anywhere between 5-20 mins, I decided to leave it on till the entire mask was fully dry with no wet patches, which was around 15 mins. I then lightly wet the mask to soften it and proceeded to wash it off in circular motions. What I noticed was a few of my deep rooted white heads had come up to the surface. I decided to aid the process and eased them out with my fingers, which I am pretty sure is not the recommended course of action! But if it works for you, just do it 😛 But yes, it literally draws them out! So far I have used it twice now and I find that my whiteheads and blackheads are easier to get out. And I am hoping with regular use they wouldn’t come back as this is a clearing mask. I also love that this isn’t as drying as regular clarifying masks and my skin didn’t feel like it was stretched tight over my scull! However if you have dryer skin, this may feel slightly drying, but not overly so. I would recommend immediately following it up with a hydrating cream of your choice. In summery, I think this mask does do what it claims, clearing blackheads and breakouts as it deeply purifies pores, and I would most definitely repurchase this. Just like the Supermud this too was a nice smooth texture which applied evenly with no tugging. What stood out was that apart from it’s French sea clay and volcanic pumice, it had actual crushed green tea leaves in it. I am guessing, for it’s antioxident, soothing properties, which did give this mask a slightly more luxe feel which I quite liked. I applied it on my forehead as that’s the most dull area of my face, it needed all the brightening it could get! Upon application I noticed that this was a bit more potent than the Supermud and had extra ‘tingle’. But thankfully faded away as it dried. I washed this off after 10 mins as instructed and lightly exfoliated my face in circular motions while doing so, which resulted in baby soft skin that was in fact brighter. I wouldn’t say that this is the best brightening mask i’d ever tried. But it did do a pretty good job, although personally I prefer my Ren Glycolatic peel mask (which I reviewed on the blog before) and don’t plan to repurchase the Youthmud in a full size. Retails at Sephora – USD 69 for one Supermud (34g) + Youthmud (15g) Excellent value for money! Also worth noting, you get around 17 applications of the Supermud mask from a single regular sized jar which comes to around $4 per sitting. Also available at Sephora Singapore. Lastly, wishing everyone a sunny weekend, and thank you for dropping by!